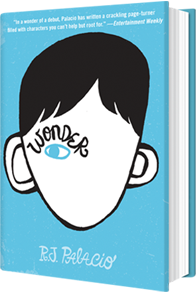 Last year, R.J. Palacio burst into the consciousness of readers with the release of her first novel, Wonder (2012, Alfred A. Knopf Books for Young Readers). In just a few short months, the book became a wonder itself winning accolades, awards, and devoted fans. 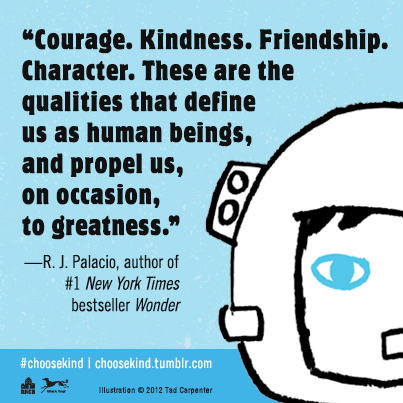 So who is R.J. Palacio? 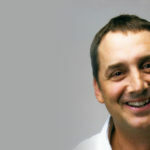 Palacio has long been a well known player in the book industry, most recently serving as director of children’s publishing and now editor-at-large for Workman. 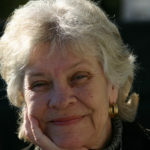 However, in the book world, she is better known as Raquel Jaramillo, the powerhouse dynamo who began as a graphic designer and worked her way up. The inspiration for Wonder came just a few years ago, and that was the impetus she needed to spur her into becoming a published novelist. While taking her sons for ice cream, Palacio experienced a turning point when she and her children came face to face with a little girl who had a severe craniofacial difference. Her youngest became scared and started to cry, so she quickly made efforts to leave. But in her haste, a bigger scene was created. “You are afraid of making a bad scenario worse, but I realized afterwards that I should have stopped and talked to the little girl and used it as a teaching moment for my sons. But being there at that moment, I didn’t know how to handle it. So I left quickly and probably made it worse.” In thinking over the situation and what she could have done differently, she was inspired to write; and Wonder was born that very evening.